Did you spot it? Both photographs are of the same species, one male and one female in each, in a “copulation wheel” during mating. The female cranes her abdomen to touch the male’s secondary genitalia and collect a package of sperm to fertilise her eggs. 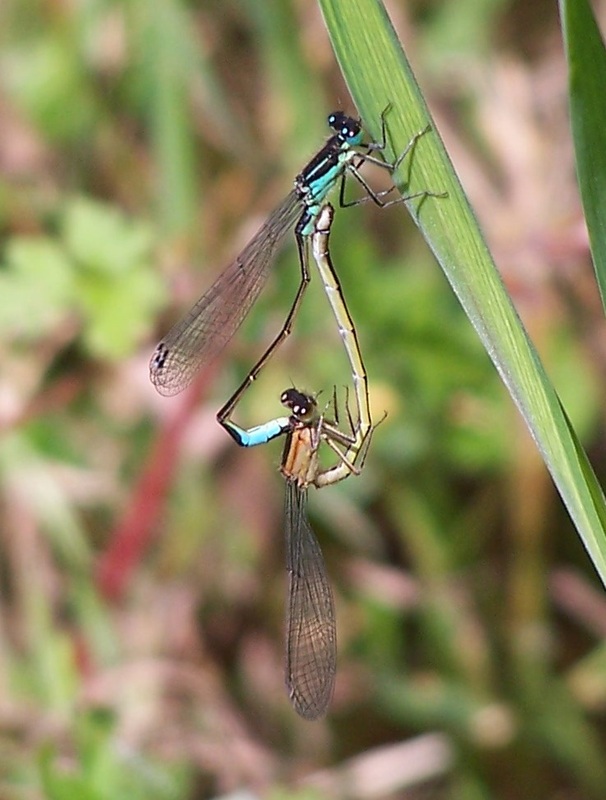 What is interesting in this species, as in a number of other damselflies, is that the females can have multiple forms. The top female is a “gynochrome”, “gyno-” meaning “female” and “-chrome” meaning colour. They are also known as “heterochrome”, “hetero-” meaning “different”. 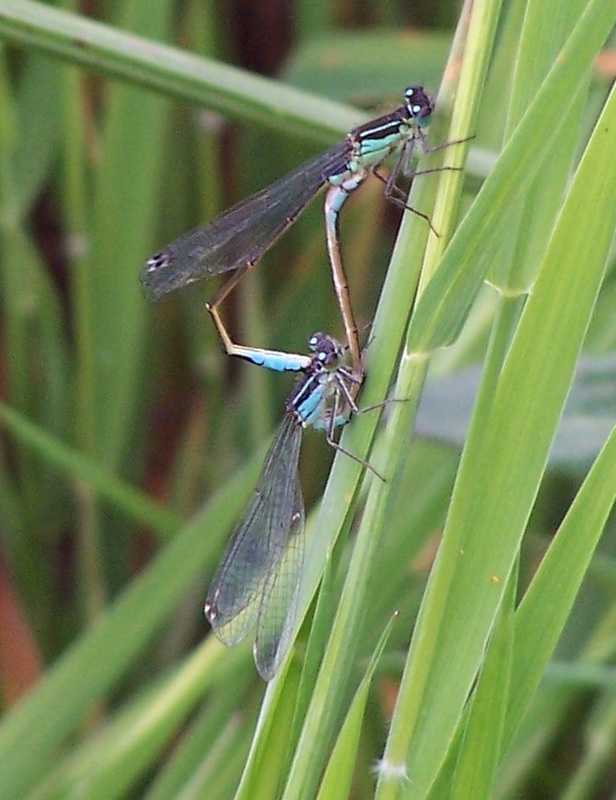 The female on the bottom is an “androchrome”, “andro-” meaning “male” to indicate that she is the same colour as the male. A lot of research has gone into establishing why females occur in multiple forms (less so into why some species have multiple male forms). The current thinking is that the females are attempting to avoid being inconvenienced by over-amorous males. If a male knows what a female looks like, he will continue to harass her until she either escapes or mates with him. However, if a few females look different, particularly if they look like other males, the males will not mate with them. Of course, this only works if there are only a few females who are tricking males. If all females look like males then the males catch on and starting harassing male-looking individuals, too. This is called “frequency-dependence”, because the strategy varies in how profitable it is with the frequency of those performing it.